Littoral Space is a podcast that explores social, cultural, and environmental topics using a geographical lens. In this episode I discuss Ireland’s Direct Provision system with Rosie Howlett Southgate. Rosie is a PhD researcher and Teaching assistant in the Department of Geography, UCC, whose work explores the lives of Irish asylum seekers and refugees. 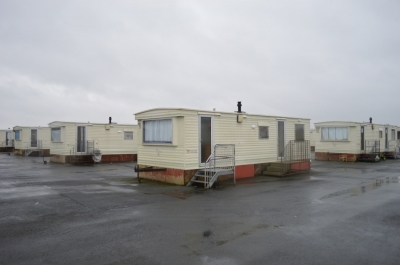 We talk about the realities of life in direct provision camps, the impacts it has on the individuals and families in the system, and the actions local communities are talking to help them. Used under a Creative Commons Attribution-NonCommercial-NoDerivatives 4.0 International License. Based on a work at www.asylumarchive.com. My chapter in the new collection Spaces of Spirituality edited by Nadia Bartolini, Sara MacKian, andd Steve Pile. 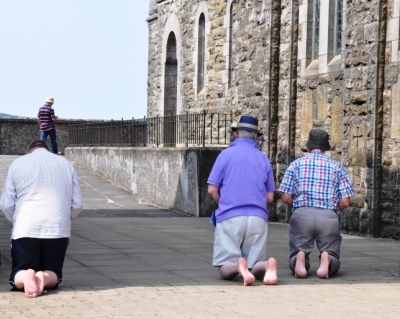 It explores the transformative potential of pilgrimages, through the example of Lough Derg. By undertaking a spiritual, cultural, or emotional journey that removes one from the everyday, participants enter the liminal state of the pilgrim. This temporary embodied identity facilitates transformative encounters in which participants can express feelings, reflect on their lives, and rejuvenate their faith. The Christian lake-island pilgrimage of St Patrick’s Purgatory – where pilgrims spend three days fasting, praying, going barefoot, and keeping a twenty-four hour vigil – offers a unique setting to explore this ideas in the contemporary world. 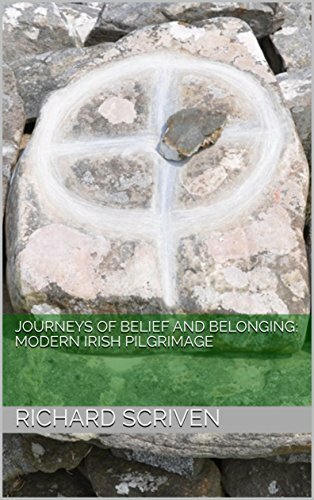 This book, based on the research of Dr Richard Scriven, explores the pilgrimage tradition and how it is manifest in contemporary Ireland. It illustrates how pilgrimage, an activity usually associated with the past, is a vibrant cultural phenomenon that inspires millions of people annually to leave home, go on a journey, and try to connect with the more meaningful aspects of life. 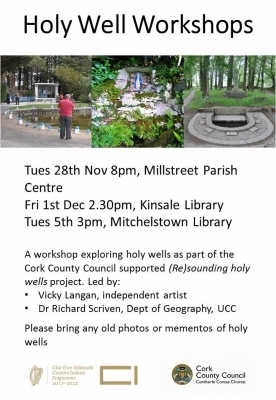 The text uses images taken during Richard’s fieldwork at some of Ireland’s main pilgrimage sites, Lough Derg, Co Dongeal; Croagh Patrick, Co. Mayo; Knock, Co. Mayo; and, a holy wells in Munster. These photographs of pilgrims and rituals offer a window into this living and evolving tradition. Quotations from people interviewed during the research add personal stories revealing how pilgrimage is a rich spiritual and emotional journey for many. It is based on research funded by the Irish Research Council. Copies are in numerous local and institutional libraries in Ireland, and it is available to order through Amazon. 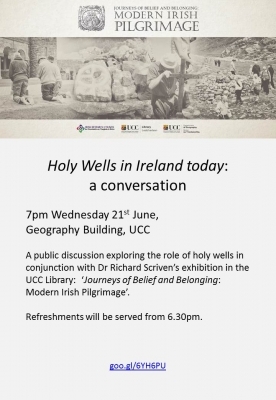 I have a guest post on the LibFocus blog to accompany my exhibition ‘Journeys of Belief and Belonging: modern Irish pilgrimage‘. I discuss the topic of ‘Universities, Research and Public Engagement‘ by highlighting the importance of researchers sharing their work with the general public and having conversations about it. Public engagement is “the idea that researchers need to communicate their work not only to others in their field – usually through peer-reviewed journal articles and conference presentations – but also to a broader range of audiences.” It is an important part of modern research agendas, but can does not always receive the support and acknowledgment it deserves. You can read more in the blog post. 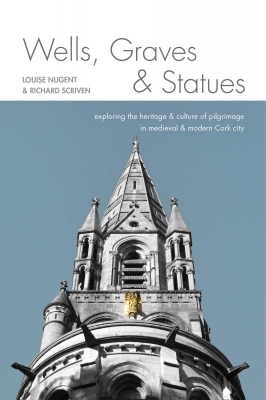 This book, co-written with Dr Louise Nugent – who blogs at Pilgrimage in Medieval Ireland, explores the often underappreciated story of pilgrimage in Cork city, from medieval to modern times. 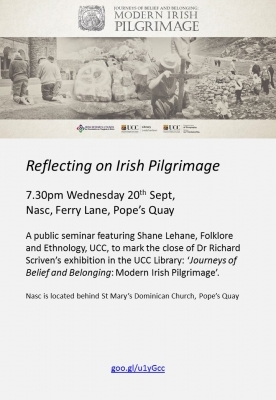 It was a research project funded by Cork City Council’s Heritage Publication Grant Scheme 2015, which enabled us to do a survey of pilgrimage locations in Cork and to produce a monograph on the topic. 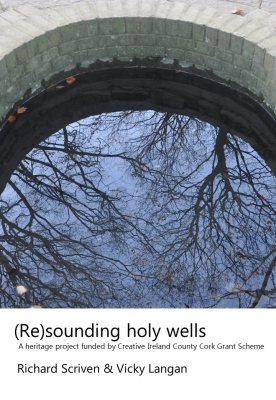 By examining former sites of pilgrimage, such as St Francis’s Well on the North Mall and Lady’s Well off Leitrim Street, and current sites, including St Fin Barre’s Cathedral, Nano Nagle’s Grave, and Our Lady of Graces in St Mary’s Pope’s Quay, this book sheds light on the important role of pilgrimage in the social, cultural, and religious life of Cork. It offers a distinct approach to the heritage of the city through an examination of the themes of pilgrimage and sacred sites that draws together different features of the urban landscape, and also provides context and discussion of their historical and contemporary significance. This publication has been funded by Cork City Council’s Heritage Publication Grant Scheme 2015. Thanks to Niamh Twomey and all the staff in the Heritage section of Cork City Council for their advice.